Fight back against greedy cable and satellite providers! Watch local stations up to 100 miles away in crystal-clear HD for free! Tired of your cable or satellite bill rising up to 6% each year and paying more for the same service? Want a way to help cut the cord and save big? 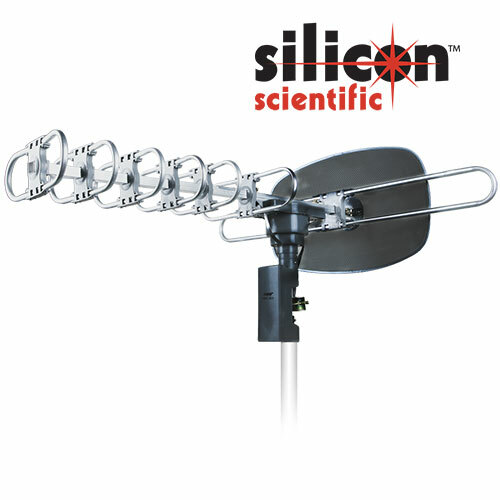 Then get this Silicon Scientific™ antenna. Dimensions 21" x 8.25" x 4"